This week Katja shares some allies who’ve helped out with the (several!) kinds of pain which accompany her braces – gentle vulnerary astringents for the cuts in the mouth, anodynes for the bone pain, and a special guest to help drain fluids from the sinus. Ryn talks about one way we try to understand herbal constituents, the chemicals which contribute to an herb’s medicinal effects – by trying to learn how they work in the plants who produce them. Herbs discussed include meadowsweet, goldenrod, self-heal, calendula, plantain, chamomile, kava, & ground ivy. 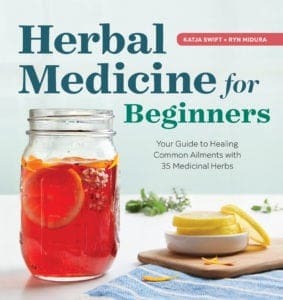 Herbal Medicine for Beginners, our first book, is available for pre-order now on Amazon!